From last few day we are receiving lots of Question like that “Am not able to Flash MIUI 8 Fastboot ROM with MI Flash Tool”, “MI Flash Tool is not working” and “Some Error in MI Flash Tool” and lots of other errors while flashing the MIUI 7 or MIUI 8 Fastboot ROM Xiaomi Android smartphones. So I got a 100% solution for those guys who is facing these type of errors while flashing the Fastboot MIUI ROM. This guide will work on all Xiaomi phone whether its bootloader is locked or unlocked. We tested this method on Our Mi4 and Redmi Note 3 and without any problem it works. 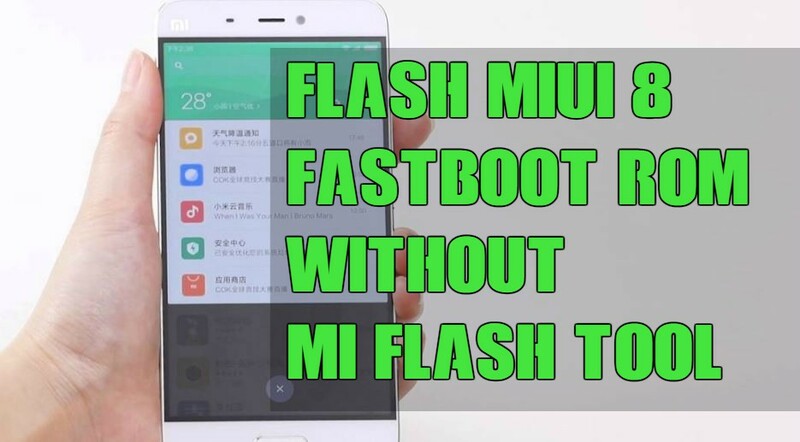 With this method, you can quickly flash the MIUI 7 or MIUI 8 Fastboot ROM on any xiaomi phones. All you need to install ADB drivers, Fastboot ROM, and some common sense :). Before following the below mention guide do take the full backup of your phone. And read all the steps very carefully and follow all the steps one by one on your PC. So without wasting your time lets get started. Warning: Technobuzz.net is not responsible for any damage that might happen to your phone during this process. 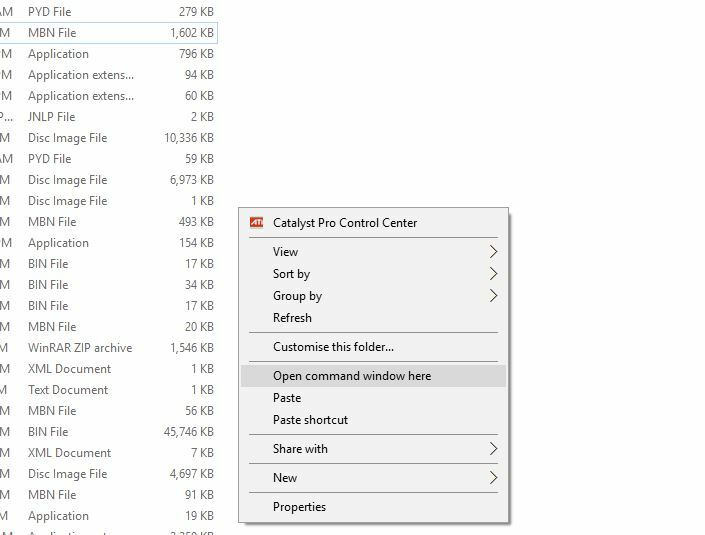 To get started, you need some file and drivers on your PC. Below are links from there you can download and install the Drivers. 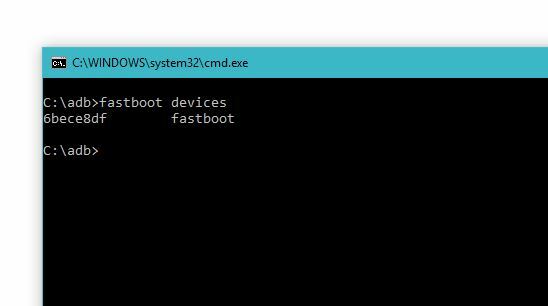 Once the ABD and Fastboot drivers are installed, you will see fastboot/ADB folder on your C drive (C:\adb). Remember this location. 1. Extract the MIUI Fastboot ROM .tar file that you downloaded from above. Again Extract the file you extracted until you get folder as shown in the image below. 2. Now open the images folder and select all and copy paste the files to ADB Folder in C:\ADB (The same folder that you created above while installing ADB and Fastboot Drivers). 3. Now Switch off your device. Boot your phone into Fastboot Mode by Pressing Volume Down + Power button at the same time. 4. Connect your phone to PC with USB cable. 5. Open the ADB folder, and Hold Shift + Right click to Open Command window here. 6. At this time your phone is connected, and the fastboot mode is on. Type fastboot devices to check the devices is connected securely. If it is, it will show like this. 7. Then Execute in the following commands one by one. 8. If you wanna completely erase user data and make your device as a newly bought device execute the following commands after the above four commands. 9. All done now reboot by executing the following command. 10. Your device will now reboot and should be completely back to MIUI stock as well as be unrooted. on a server in that country also. Hey! I tried doing this but it would only say “waiting for device”. Can you please help? Install the ADB drivers first and make sure that your phone in fastboot mode. I was finding the solution for the whole day…finally this one did the trick…thank you so much. I followed the same way according to the method given by you.But after that when my phone was on. yes it worked very well or me…reverted back from CM 14 to miui 8 marshmallow…..this method is very easy and useful than any other….thanks sidharth sir and i have subscribed technobuzznet and also recommended it to all my friends using xiomi devices. hii there…i was able to flash recovery.img, cache.img, and boot.img, but while flashing system.img, it failed saying remote: size too large. Why Device is not connected ?? Is it possible to fastboot without Mi PC Suite? I don’t have a Windows operating system (I use Mac) and am unable to download it. Please help. Thank you. I had an error FAILED (remote: device is locked. Cannot erase). And I did your steps but previously fastboot boot boot.img. With that verything is working. Thanks for your help!! I have a MI5c and i thought it was missed. hey.. I follow the same procedure as you mentioned in this post and done successfully but after doing this my phone is still in boot loop its reboot again and again.. please help me ASAP. i am using redmi 2 my bootloader and OEM is locked and phone is softbrick. You have to unlock the bootloader first to use this guide. You just saved my life. Thx a lot. Man, correct your article. This is wrong. This guide is USELESS for locked bootloaders. Thanks for sharing this method. My Redmi 5 completely revert back from MIUI 10 beta to MIUI 9.